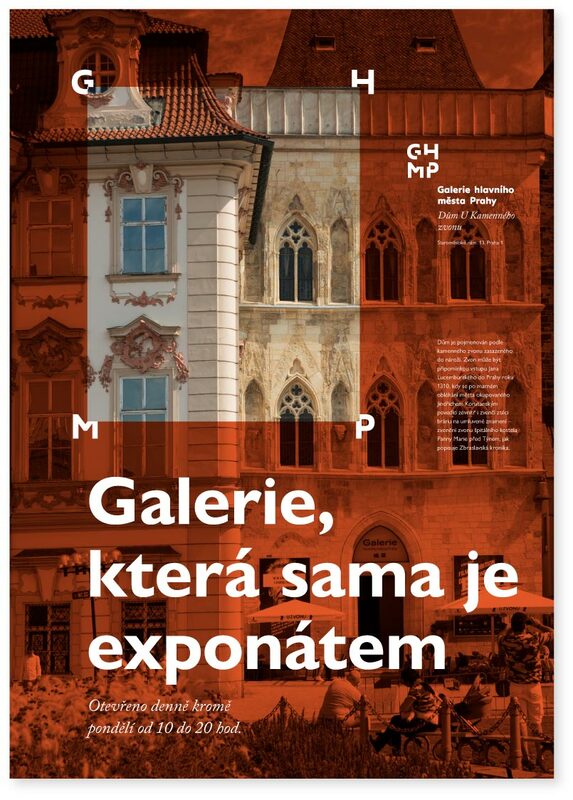 to create a logo for a gallery in Prague. 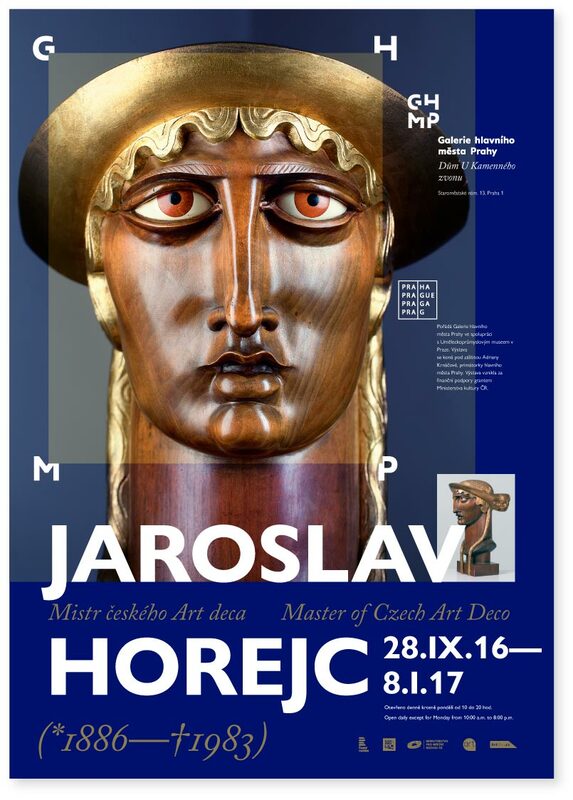 The gallery in Prague exhibits works of contemporary art and patronizes city landmarks, sculptures and fountains. A logo that acts as a graceful frame for works of art was created for the gallery at the studio. 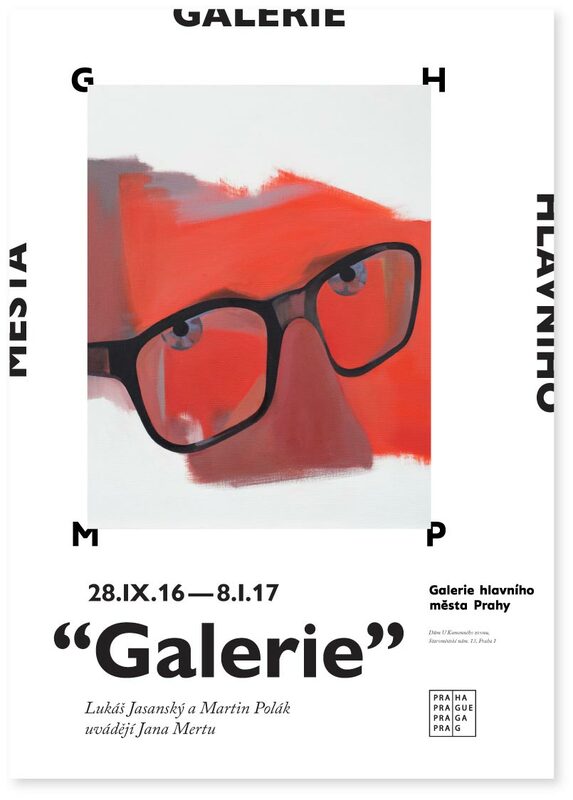 The primary interest point of every gallery is its idea, not design. People come to see works of arts, not halls and rooms where they are displayed. Even the gallery’s building itself is a mere frame for the art. Stop, a frame! What if we create a logo that would act as a frame for all that is inside it? Turning the four main letters of the gallery’s name into a frame. They can surround absolutely anything: pictures, exhibits, key objects. The logo does not draw attention and becomes a secondary design element, like a frame to a picture. 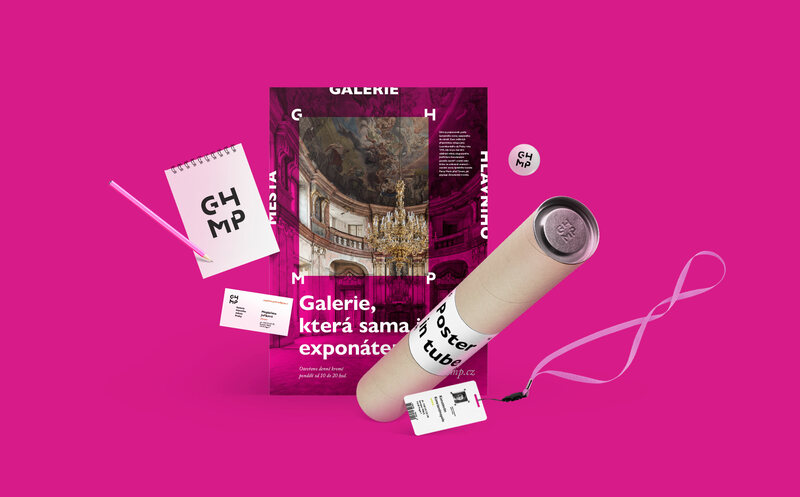 The only permanent element of the logo are the letters GHMP which are located on the sides of the rectangle containing paintings and exhibits. The frame can surround objects of any format and dimensions.